Most of our programs make use of Swashers, which are a brand of boffer sports equipment shaped like medieval armaments. 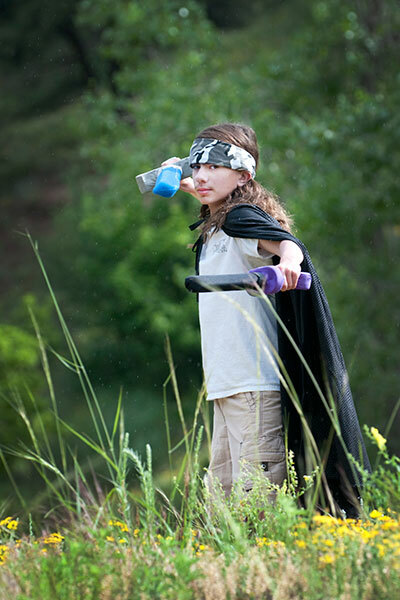 In 1995, Renaissance Adventures set out to create the perfect foam sword for our kids programs. The first Swashers were crafted by Renaissance Adventures and we went through many design changes. 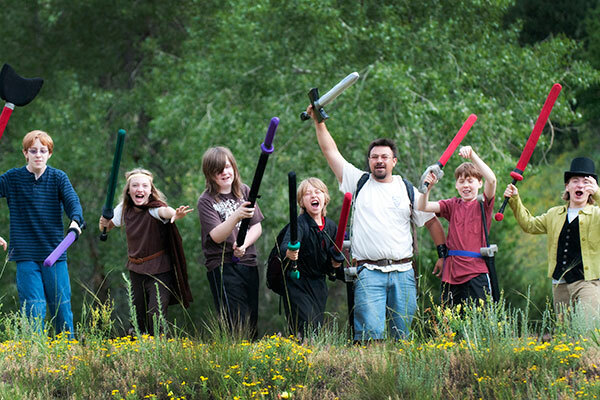 In 2007, Renaissance Adventures joined forces with Cloud Dragon Armory to share with them crafting techniques and expertise. Since then, Cloud Dragon has continued to refine the design and is now the primary source for our fun handmade sports equipment called Swashers. You may purchase our Swashers through our online store by clicking the button below. See information about pickup & delivery options. Why are Swashers the Best? While boffers can be homemade or purchased from a number of vendors, Renaissance Adventures helped develop, recommends, and uses one particular type of boffer called Swashers. They are designed with a combination of specific qualities that, to our knowledge, no other manufacturer uses. Safety. Swashers are incredibly safe. They are made so that no part can enter into an eye socket. Over the course of hundreds of thousands of hours of “play-testing,” there has never been a serious injury caused by a Swasher. Of course, like any sports equipment, participants should abide by all safety measures. Durability. Swashers are made with sturdy materials and last for many years. Hand crafted to ensure quality worksmanship, Swashers are a kind of sports equipment that can withstand years of continued use. Besides normal maintenance needs, most of our Swashers last for over 15 years of regular use. Medium Weight. We found there are few boffers that are a “medium” weight. Light-weight boffers – such as most latex swords – often have a whip-like motion (causing a safety and durability concern) and are unsatisfying to duel with because of the negligible leverage. 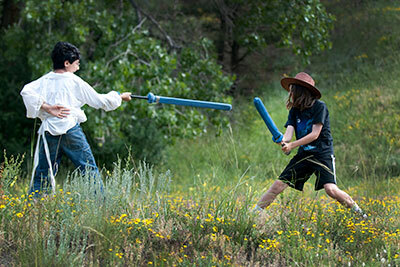 Heavy-weight boffers – such as most homemade or reenactment swords – are often unbalanced, unsafe, and exhausting. Fun Design. There are a ton of different models of Swasher and because they’re hand crafted, they can be customized. Swashers come with a cloth casing that can be a variety of colors, which can represent different elements or magical properties. Both “Paragon” and “Heroic” Swashers are a kind of Swasher brand boffers. They both exhibit the same qualities as detailed above, including our guarantee. However, the crafting methods, materials, look, and price are different. Paragon Swashers are currently crafted by Cloud Dragon Armory, who were originally trained by Renaissance Adventures and has been the officially licensed manufacturer of Swashers since 2007. Paragon Swashers are the highest quality boffer sports equipment we know, has been tested for many years, and come in a large range of models. Heroic Swashers are a different make than the Paragon style and are less expensive because they are crafted using different materials and techniques. We offer other brands of boffers, such as those produced by Epic Armoury. While these boffers do not share the same qualities as our Swasher brand boffers, they are safe and durable enough for our programs that we allow their use and sell them. Be warned, however: we have found that every latex boffer we have ever tried is not nearly as durable as Swashers. We do not guarantee any product other than Swashers. Play safely, use the honor system and be honest, get everyone’s permission to duel, and have fun! A tag to the hand or arm means the duelist cannot use that arm and should put it behind his back. A tag to the foot or leg means the duelist cannot run. If both legs have been tagged, the duelist may only stand in place and pivot – he cannot walk. A tag to the torso or back means the duelist is defeated. To symbolize being knocked out, place the Swasher on the head. For team games, such as capture the flag, players may “heal” others by placing their hand on the target’s shoulder and calling out “Heal 1, heal 2, heal 3, heal 4, heal 5.” Getting healed means all wounds are eliminated. Players cannot heal themselves. Besides these basic dueling rules, you may order products from the Renaissance Adventures store for use with the Swashers. Do not swing or tag hard. Tag with the thin padded edge only. Do not slap with the flat of the blade or tag with the hilt. Do not tag the head, neck, groin, or any place that is susceptible to injury. Do not throw – Swasher must be held in a hand at all times. Do not duel in anger. Do not use if fabric is torn or interior material is damaged. Do not get the Swasher wet. Never duel in the rain or snow. Besides making the Swasher heavy and unsafe, water wears down the glue and other materials that make up a Swasher. Do not lean on the Swasher or put excessive weight on them. Store Swashers in a dry place with no heavy or hard-edged items on them. Putting hard-edged items or heavy objects on or against a Swasher – even for a short while – causes “dents.” Do not pack them together too tightly or this may also cause dents. To clean your Swasher, spot wash with a damp cloth. Swashers that are excessively dirty may require a new outer sheath. In this case, you may try to untape the outer fabric sheath from the interior. Peel the tape from the base of the Swasher blade and set aside. Remove the sheath and wash on a cold, gentle cycle. Put the shealth back on and retape using the same tape (or purchase a similar kind). Outer sheath fabric may be torn easily by tagging rough surfaces such as trees and cement – do not strike such surfaces. If the fabric becomes torn, the Swasher is no longer safe to duel with and should be returned to Swasher Maintenance for an inexpensive sheath replacement. The interior of the Swasher is filled with foam and a rigid fiberglass core. If the Swasher strikes a surface too hard, the fiberglass may break and become sharp. Do not tag hard. To tell whether the core or interior materials have been damaged, squeeze the foam blade from the tip to the hilt, checking for a bent core or punctured foam. If the core is damaged or the foam is ripped, the Swasher must be replaced. Send to Swasher Repairs – a replacement Swasher can be bought for a discount. Damaged Swashers can often be repaired at a lower cost than replacement. We do not recommend that you attempt repairs. Attempting a repair, including removing any tape, invalidates any and all guarantees.